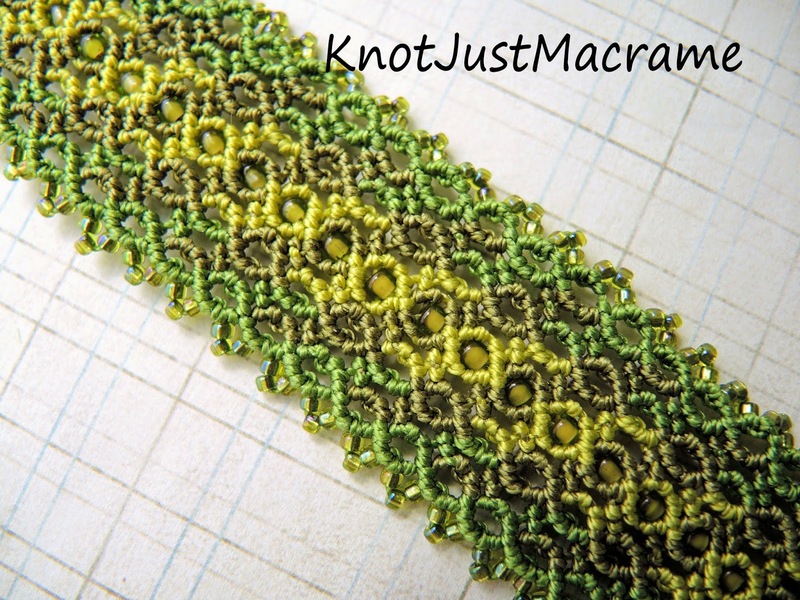 Knot Just Macrame by Sherri Stokey: TWO New Micro Macrame Tutorials! Yes, I know it's been over a week since I last posted, but in my defense, I have been busy. 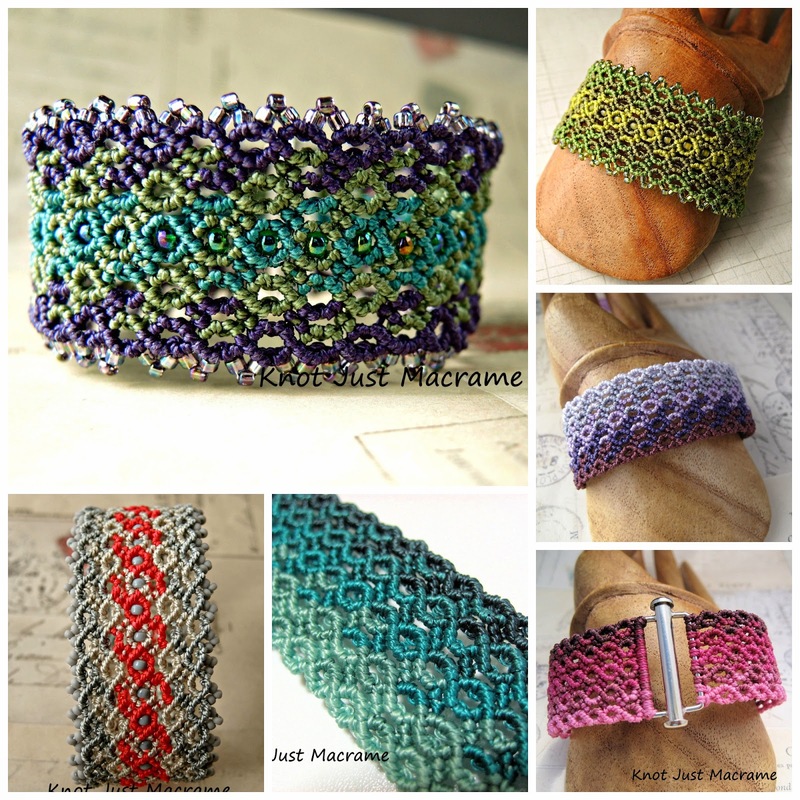 I finished not one, but two new micro macrame tutorials! I finally finished one for the bracelet in the photo above - the one I've been promising for a couple of months now. I couldn't decide what to call it, because "Funny Little Pointed Elliptical Shapes Micro Macrame Bracelet Cuff" just seemed to be missing something. 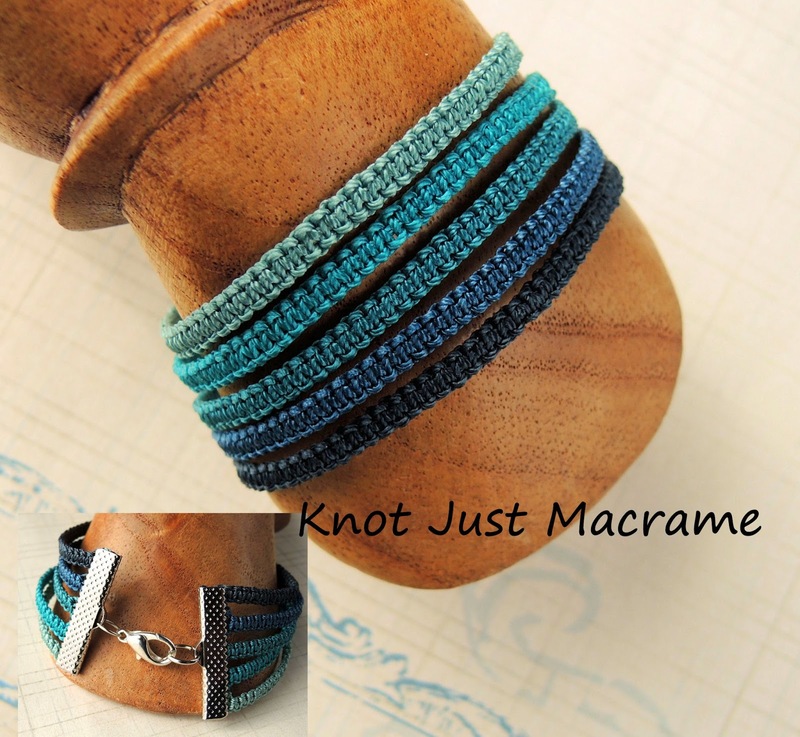 I finally figured out that those shapes look like a marquise cut stone and logically, if somewhat predictably, named the class "Marquise Micro Macrame Cuff". It's a little more manageable. I have included something like 110 still photos and 5 videos along with step by step instructions and narration. No matter what method of instruction works best for you, it's in there! The nice folks over at CraftArtEdu.com are celebrating the release of my two new classes with a super duper sale through the weekend. You can find the details here. Happy knotting! Beautiful bracelets! I really think that I prefer the simplicity of the second one. I have picked up a couple of your classes though I need to find the time to actually watch them. I want to make all of them and I see so many possibilities. Thank you for the Marquise bracelet. I am trying to decide which to start. I did order the bar clasps. Thank you so much for all your time and effort that you put into the classes so that we can create also. scusa ma vendi anche i materiali, spedisci anche in europa? I use either c-lon or superlon nylon cord. I have not used the Chinese knotting cord. how do i end with the same atatshement to the clip?